Regional Logistics Group has built its reputation on providing superior trucking and warehousing services. Servicing USA's largest consumer market within 8 hours from NY/NJ Metro ports to Western New York, our customer service specialists can provide on-time solutions to your Import/Export shipping requirements. 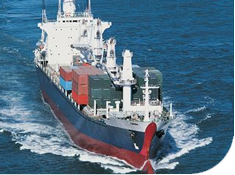 When you are looking for total door to door shipping services, Regional Logistics Group delivers. Whatever your individual requirements are, we will meet them.